Eugene von Guérard, the son of an Austrian miniature painter, was trained in Rome and Düsseldorf, his father's birthplace. He accompanied his father to Italy in the late 1820s and there met the influential German painters, later known as the Nazarenes. He arrived in Australia in 1852 and after a period in the Ballarat goldfields, settled in Melbourne where he soon established himself as a successful landscape painter. He became an esteemed figure in the art establishment of the colony, appointed curator of the National Gallery of Victoria and master of its Painting School in 1870, before his return to Düsseldorf in 1881. 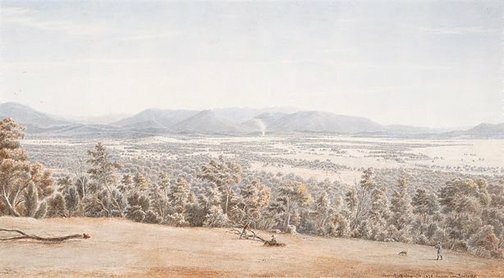 Von Guérard undertook a number of commissions to paint the homesteads and properties of prosperous landowners in Victoria, NSW, Tasmania and South Australia. 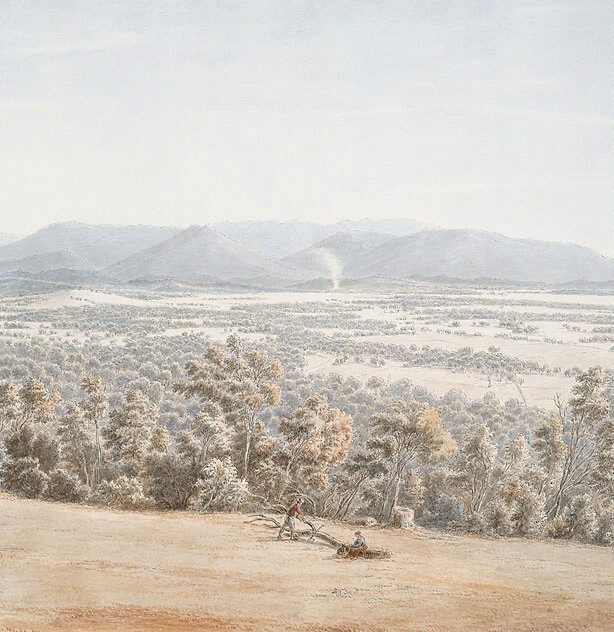 This finely delineated drawing depicts Christmas Hills, an area first used as grazing land as early as 1842, but now an outer suburb of Melbourne. Signed and dated l.r., pen and black ink "... 17 December 1878. Eugene von Guérard". 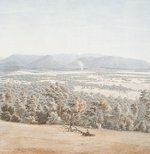 Hendrik Kolenberg, 19th century Australian watercolours, drawing and pastels from the Gallery's collection , 'Introduction', pg. 6-16, Sydney, 2005, 2 (colour illus., detail), 10, 65 (colour illus. ).